A lot of my personal research has been around the Manchester and Lancashire area. So I’ve used a lot of sources in my research, these “Extra” resources used along with the usual suspects (Ancestry, FamilySearch etc.) can yield some very colourful results. Lancashire Parish Clerks is great because it has fully searchable free data relating to the entire county. You can search by church, town or the whole of Lancashire. “The Register Offices in the county of Lancashire, England, hold the original records of births, marriages and deaths back to the start of civil registration in 1837. The county’s Family History Societies are collaborating with the local Registration Services to make the indexes to these records freely searchable via the Internet. Like FreeBMD, Lancashire BMD has transcribed the Birth Marriage and Death records for Lancashire, however they have also transcribed many maiden names of mothers and list the “Age at Death” on most records up to 1837 as opposed to 1866 for FreeBMD. The Manchester City County Council Burial Records website is a fully searchable database of all the big cemeteries in Manchester. Its free to search which can also tell you the names of others buried in the same plot but if you want any more information a fee is required. Worth it if it breaks down a brick wall. The best way to use this resource is by combining it with Lancashire BMD to search for correlating deaths. This site has transcribed and made a searchable database of all of the names they could get out of the damaged 1851 census. Manchester & Lancashire Family History Society is a good resource to use as like most Family History Groups it has a member directory and local record sets. Some records are free to search but a small fee is payable if you want to access members directories. These members will often help with local research which is good for anyone not actually from the area. Their record sets also contain employee records from mills in the area. 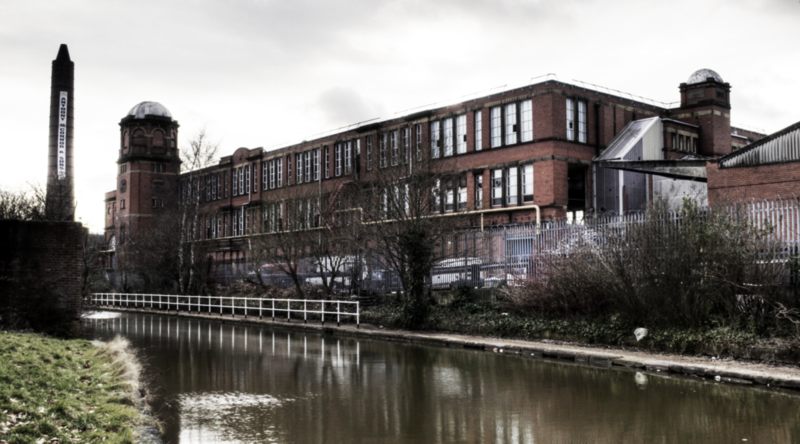 If you have working class ancestors from the Manchester and Lancashire area there’s a relatively large chance they could have been involved in the Mills. Whilst this is not specific to Manchester and Lancashire it does offer some very high resolution images of street maps of some of the cities in the area such as Manchester and Stockport. These maps stretch from the mid 1850s up until the 1940s. A lot of my personal research has been around the Manchester and Lancashire area. So I've used a lot of sources in my research, these "Extra" resources used along with the usual suspects (Ancestry, FamilySearch etc.) can yield some very colourful results.